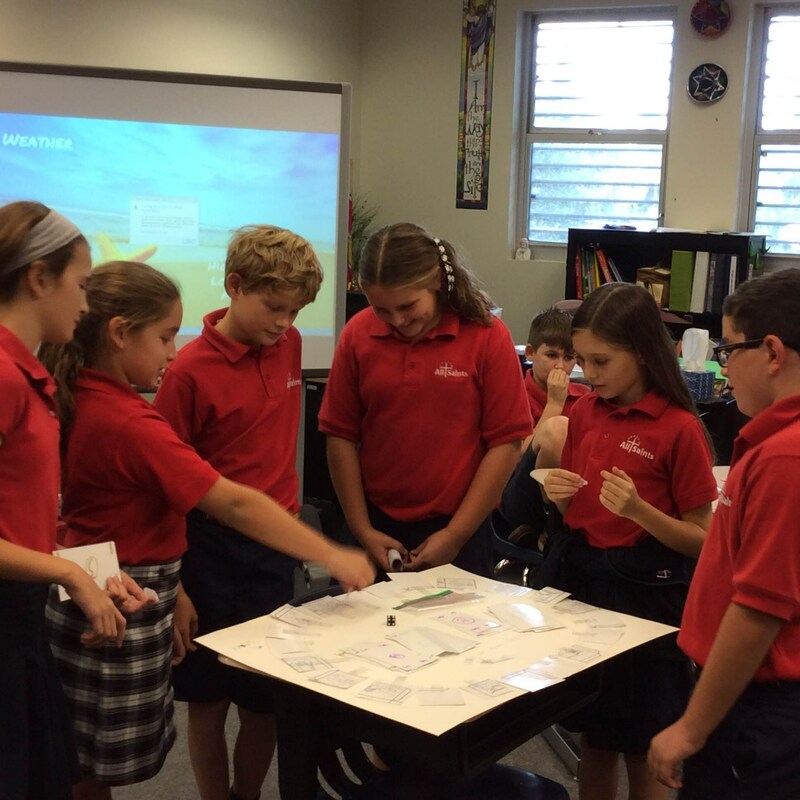 The Spanish and Spanish I programs at All Saints follow the National and the Florida World Languages curriculum. 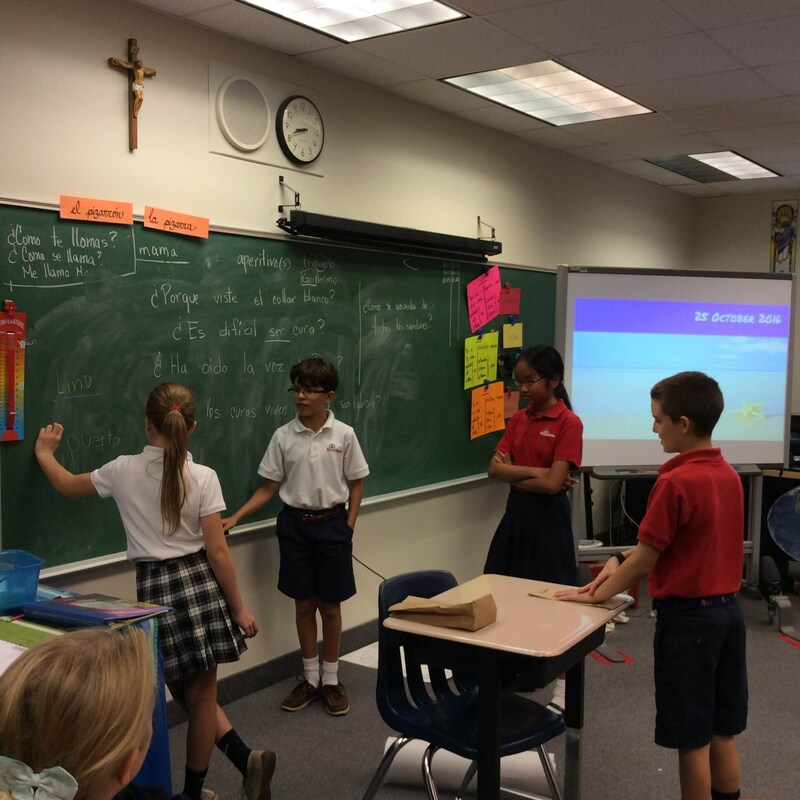 The Spanish program starts from second grade and continues throughout the middle school years. Students participate in many hands on activities, writing and oral assignments, dialogues, presentations, as well as listening and comprehension exercises. 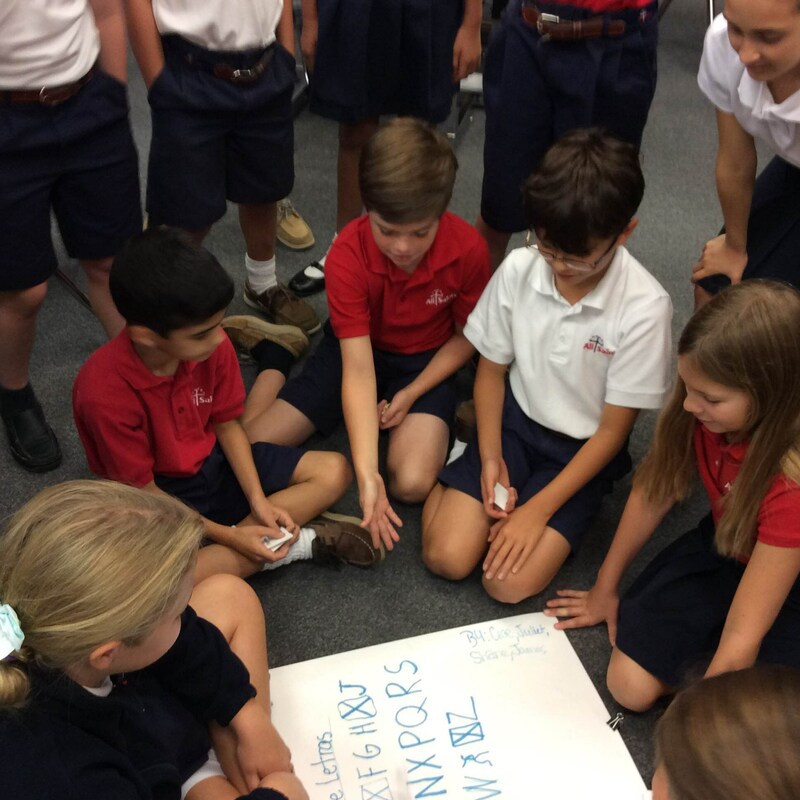 Students are invited to participate in many activities in a cooperative learning environment in which they are motivated and encouraged to work, participate and learn with and from others. Individual work and assignments are also part of the program allowing them to apply their many skills and talents. Elementary students learn vocabulary, sentence structure, grammar, conversation, writing and culture of the Spanish speaking countries. Some of the many subjects covered from second through fifth grade include: colors, numbers, basic greetings, food, clothing, community, school environment, family members, parts of a house, describing people and things, talking about the time, the weather, dates and many other subjects that allow them to relate to their everyday life. In Middle School, the Spanish class format also introduces, at a higher level, vocabulary, grammar, sentence structure, reading, reading and listening comprehension, as well as oral and written presentations incorporating the use of technology for class work and assignments. Middle School subjects relate to their daily life activities. A few of these subjects will include talking about what they like or dislike, what they want, need or have, describing people, places or things, describing what people do, and writing and presenting conversations needed to meet people. 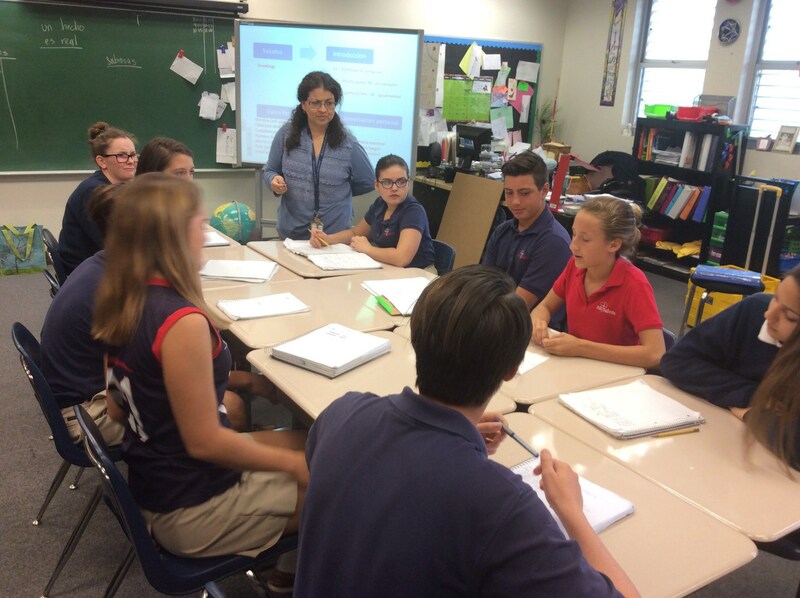 The Spanish I class follows the regular class format but in an accelerated pace. This program is offered by invitation to 8th grade students who meet the criteria needed to be part of this intensive class format. Spanish I is scheduled five times a week, allowing students to cover the material required to complete their first foreign language high school credit. Examples of some of the student work is written and/or oral presentations on many elaborated projects for which they will use technology and/or written skills. Spanish I students will also participate in competitions and games where they demonstrate their understanding, comprehension and mastery of the subject studied. In addition, students will have the opportunity to take the National Spanish Exam that will allow them to compare their knowledge and understanding of the language with other students taking Spanish I nationwide. Students successfully completing Spanish I at the end of their middle school year are encouraged to complete a placement test during their eight grade year. Please contact your high school of choice and check their specific requirements and testing dates. Credit for Spanish I is given at the discretion of the high school and their requirements.